Continuing my quest to find interesting grain elevators to shoot, I present this image taken of a feed and grain store located in Webberville, Michigan. I was actually passing through Webberville on my way to find an old grain elevator that I had seen during a Flickr search. I hadn’t really planned on stopping in Webberville, but I figured, what the heck maybe there would be something interesting to shoot. The first thing you see when you approach Webberville from the highway is the large Archer Daniels Midland elevator and complex. I took some shots of it, but the picture I really wanted to get would have been difficult since it would have involved shooting from just outside of the security gate. I really didn’t feel like dealing with security so I passed on that shot. However, I had noticed just down the tracks a bit, there was another, smaller elevator. 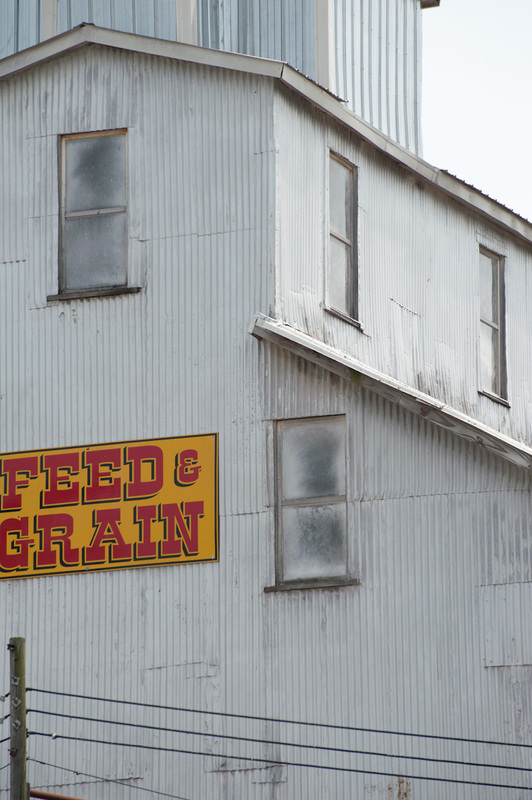 I managed to find the road which led to this feed and grain store. It wasn’t quite as rustic as I would have liked, but parts of the building had an interesting character. I took a few different shots from different angles and I liked this one the best. The processing on this one is somewhat interesting (at least I think so). Normally I would use something like PhotoTools or Topaz Adjust to bring out extra detail in the image. In this case, I did the opposite. I used Topaz Simplify with the BuzSim preset to remove detail. It created an image which looked more like it was painted rather than photographed. 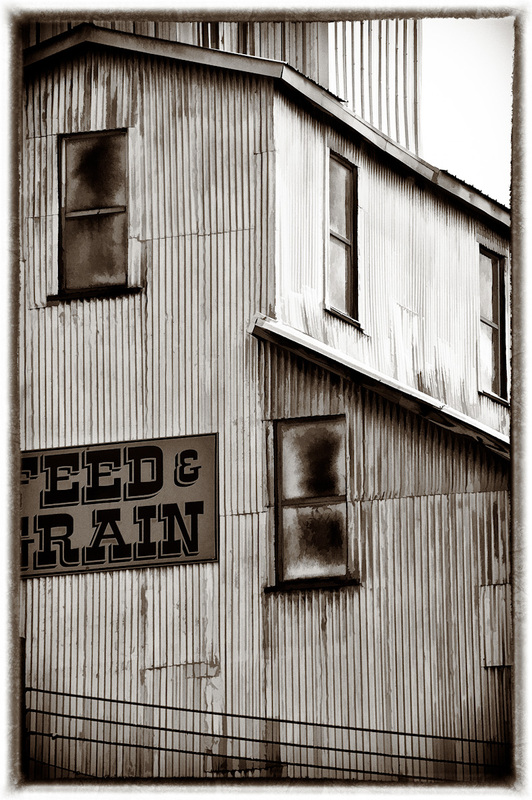 I then took the image into Silver Efex Pro 2 and converted to black and white and added the ragged border. As always, feel free to leave comments or questions below. Those windows are pretty dang awesome, and the processing is killer. Great work! Thanks! I do like how the windows came out. Great processing James! The intersecting lines and angles really catch your eye and move you through the frame.